Would You Like to Attend HackConf 2018? We are Giving Away 5 Tickets! One of the biggest tech and motivational conferences in Bulgaria is going to take place on 15th and 16th September in Sofia Tech Park | Innovation Forum John Atanasoff. For the fourth time this event will gather IT specialists to enrich and thrill them while making the weekend Super Exciting. As the organizers say: This is the very event organized “by developers, for developers”. 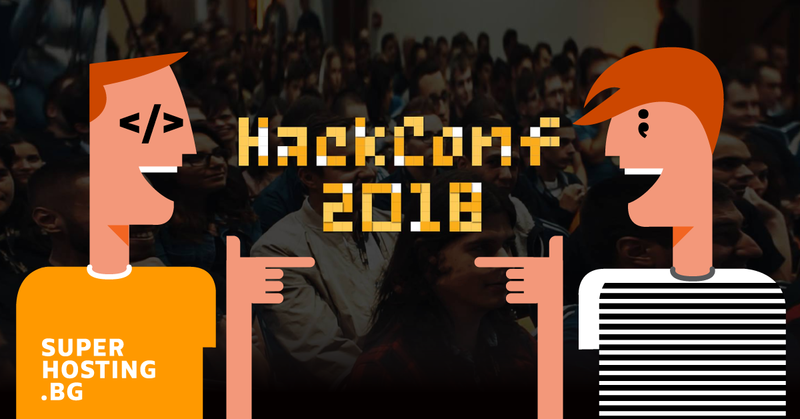 Even if you are not a developer, but you are just keen on this field you will definitely discover something useful for yourself in the rich program of HackConf. The attendants will have the opportunity to listen to topics concerning all aspects of software development - from coding and news in programming languages to team management and leadership. The Speakers are working in leading Bulgarian and foreign companies as they will share experience which has helped them develop products and services from different fields of business. You will hear how they cope with interesting cases and what are the key strategies which help them deal with difficulties. This is definitely an event to bring your ideas to life and inspire you for new projects. Win special t-shirts, presents and SuperSurprises! And many more exciting topics, delivered by 20+ speakers, especially selected for you. Visit our corner so that we can meet, talk and have fun with our special game! We have prepared many special surprises and are looking forward to showing them! To make it even more entertaining, we will start with the games now! We are giving away 5 tickets for the conference. Let's play! In your opinion, why so many people choose an IT career in Bulgaria? We look forward to reading your answers until 14:00h on 5th September 2018. Our SuperJury will select the most creative and interesting answers and the winners will get a free ticket to HackConf 2018. Good luck to everyone! We are looking forward to meeting and chatting to you on 15th and 16th September!